Buying Certified Pre-Owned – What are the Benefits? You may wonder if its really worth it buying a certified pre-owned vehicle. Read on to learn that, yes, its worth it; there are many benefits, but one of the biggest is that you will have a peace of mind the minute you leave the lot in your certified Rogue. Nissan has a very specific process for a used vehicle to become a certified used vehicle. First off, the Nissan must be less than six years old and less than 80,000 miles on it. Nissan also requires the vehicle to have a clean, non-branded title. Once all of this has been determined to be true, the model must pass a comprehensive 167 points Certified Pre-Owned inspection. *For the details on these benefits and services please contact us at Sheridan Nissan. Sheridan Nissan has an incredible selection of certified pre-owned Nissan Rogue models for you to choose from. If you are searching for a compact crossover, the Rogue is a competitive model in this class. It has room for five and comes in three main trim levels: S, SV, and SL. What type of power does a used Nissan Rogue get? 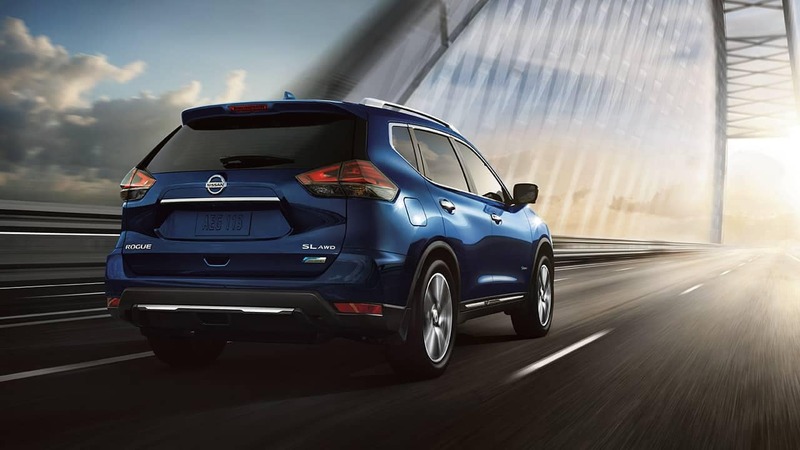 The Nissan Rogue gets its power from a 2.5-liter four-cylinder engine that will give you 170 horsepower, and 175 pound-feet of torque. It is mated to a continuously variable transmission (CVT) and is front wheel drive. Some used Rogue models you will find with all-wheel drive, as it came available as an option. There is also a hybrid Rogue model. It is powered by a 2.0-liter four-cylinder in partnership with an electric motor. The hybrid horsepower number comes in at 176. Though most Rogue’s come with seating for five, there is a third-row option on S and SV models, so if you are in need of a third row, know that the Rogue can give you this. Step inside a Rogue and you will find a spacious cabin with materials that look and feel like quality. Features that come with the base trim S model include sliding and reclining 40/20/40 split-folding rear seats, a cargo management system, a rearview camera, Bluetooth phone and streaming audio, and a 5-inch infotainment display. If you go for the middle trim level, the SV, you will get some additional standard equipment and features. These include alloy wheels, roof rails, automatic headlights, keyless entry and ignition, blind-spot monitoring with rear cross-traffic alert, remote ignition, dual-zone automatic climate control, heated front seats, and a six-speaker audio system. The top model SL is decked out in all the best features and technologies such as automatic high beams, fog lights, a hands-free power liftgate, leather upholstery, a heated steering wheel, a 7-inch touchscreen, a surround-view camera system, a navigation system, Siri Eyes Free iPhone control, and more. Whichever Rogue model you go with, you are sure to be impressed by all that this Nissan model has to offer.